Enrollment for summer classes is up 6 percent over 2017 at Missouri Southern. A total of 2,064 students enrolled for summer classes at the university; up 115 over last year. Students enrolled in 10,949 credit hours, a 20 percent increase over last summer’s 9,089. Summer enrollment has held steady over the last 10 years. The previous enrollment record was 1,983 students in 2010. “This new increase shows students are recognizing the value of taking summer classes in order to stay on track to graduate on time,” said Cassie Mathes, director of University Relations & Marketing. Missouri Southern is part of the Missouri Department of Higher Education’s new “15 to Finish” initiative. 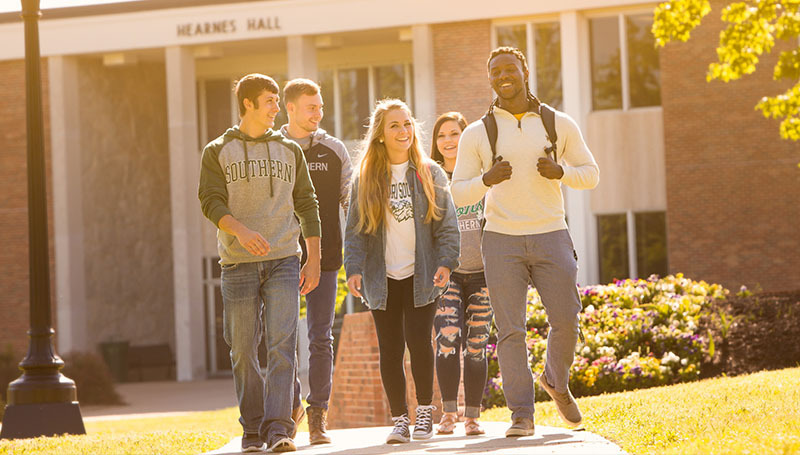 It encourages full-time students to complete 15 or more credit hours each semester in order to receive an associate’s degree in two years or a bachelor’s in four. “Graduating on schedule allows students to enter the workforce sooner, which means earning an income rather than spending additional semesters in school and possibly accruing more student loans,” said Mathes. The recent expansion of Pell Grants to cover summer classes is also likely a factor in the enrollment increase, she said. Earlier this month, U.S. Sen. Roy Blunt visited Missouri Southern to highlight the expansion, which he said could lead to as many as 20,000 more Missouri students taking summer classes at colleges and universities. A 10-week summer session began May 21. The first-eight and four-week sessions will begin Monday, June 4, with the second four-week session beginning on Monday, July 2. To register, students can meet with their advisor or stop by the Advising, Counseling & Testing Services office – Room 314 of Hearnes Hall. To view the summer schedule, visit www.mssu.edu/academics/classes.